The final moments of Skyfall promised exciting things for Bond fans. After three movie saga exploring the making, unmaking, and remaking of James Bond as a man and agent, the end of Skyfall ushered in a return to the classic Bond and the elements most associated with the franchise. 2015’s Spectre, released last week in the US and the previous week in the UK, makes good on Skyfall’s promise of a more traditional Bond movie, both for better and for worse. The plot: With the dust settled after the death of M (Judi Dench), James Bond (Daniel Craig) sets off to Mexico City to kill a crime lord Sciarra (Alessandro Cremona) and track down his associates, per the last request of the deceased head of MI6. Bond’s personal, messy mission puts him at odds with the new M (Ralph Fiennes), as Bond’s destructive tendencies lend credence to the head of MI5’s (Andrew Scott) plan to dissolve the 00 program in place of a global computerized surveillance and intelligence network. Working in secret with the aid of Q (Ben Whishaw) and Moneypenny (Naomie Harris), Bond uncovers that Sciarra was a part of the clandestine crime organization SPECTRE, and that SPECTRE’s leader (Christoph Waltz) has a very long, very personal history with Bond. Bond turns to his former nemesis and even former-er SPECTRE member Mr. White (Jesper Christensen) for information in exchange for protecting his daughter Dr. Madeleine Swann (Léa Seydoux) from the clutches of the organization and its terrifying enforcer Hinx (Dave Bautista). Bond and Madeleine begin a hunt for SPECTRE’s base of operations as MI6 threatens to crumble around them. It’s not for nothing that part of the movie concerns Q rebuilding Bond’s iconic Aston Martin DB5. With Spectre, Sam Mendes and co. dutifully try to capture the essence of classic Bond movies of the past, creating a modern blockbuster in the framework of a Connery Bond movie. Leaving the theater, my father pointed out that, save for the tech and focus on internet surveillance, Spectre is a movie that looks as if it could have been made in the mid-60s are readily as in 2015. The set pieces, styles, and the return of the titular organization after a 44 year absence plant the film squarely in old school Bond territory and a turn away from the harder edged Bonds of the previous decade. For a lifelong Bond fan that spends each November mainlining Bond movies regardless if a new release is on the horizon, there’s plenty here that hits the right buttons. Dave Bautista is perfectly cast as the giant and terrifying Hinx, bringing imposing henchmen in the vein of Oddjob and Jaws* back to the franchise. Christoph Waltz’s performance is wonderfully arch in a way that doesn’t gel with a lot of modern cinema villainy but works perfectly with what this movie is trying to accomplish. All in all, it’s a movie I really enjoyed; yet it’s a movie that ultimately feels very safe. There is little I disliked about Spectre. The very-personal history between Bond and Oberhauser bears some tired cliches of modern genre movies and the *SPOILER THAT’S ACTUALLY PRETTY OBVIOUS* reveal that Oberhauser is in fact classic Bond villain Ernst Stavro Blofeld follows the similar reveal in Star Trek Into Darkness a little too closely *END SPOILER THAT’S NOT REALLY A SPOILER*, but otherwise, there’s a lot to like in Spectre. Despite this, it’s a movie that doesn’t take many chances. 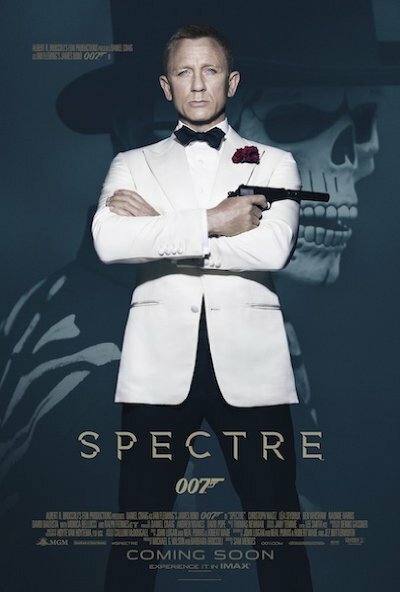 Spectre calls back to a number of previous movies in its bid to emulate the classic Bond feel, a mountaintop clinic á la On Her Majesty’s Secret Service and train ride battles with imposing henchfolk in the mode of From Russia With Love and Live and Let Die factor into the plot of the movie, making parts of Spectre feel like more of a pastiche of movies I already really like instead of a new film all its own. The plot is frequently informed by Bond movies past so that occasionally loses its own character. Bond’s fight with a man in the cockpit of a helicopter during Spectre‘s excellent Day of the Dead-set cold open is thrilling to watch, but loses some of its punch in the way that it attempts to emulate similar shots from the cold open of For Your Eyes Only. Easter eggs and references to previous entries are hallmarks of the Bond franchise, but Spectre overindulges in the types of references the series mostly abstained from in the past three outings; the effect being a movie that’s exciting, but familiar. The Craig movies have been notable for the departures they’ve taken from the classic Bond formula, to admittedly polarizing effect. The frequent criticism was that these were Bond movies that didn’t feel like Bond movies, yet they were also some of the most memorable of the franchise**, taking risks and pushing Bond into new territory. Similarly, the moments in Spectre that break from tradition are the ones that I liked the most. Having Bond work closer with M, Moneypenny, and Q gives them characterization they’re frequently missing. I mean, if your supporting cast is going to include Ralph Fiennes, Ben Whishaw, and Naomie Harris, you might as well get your money’s worth. Similarly, Bond’s relationship with Léa Seydoux’s Medleine Swan marks a different turn for the “Bond girl” tradition, namely in that Bond respects her as a human being; so, y’know, progress. Sam Mendes and returning Skyfall cinematographer shoot the film well, bringing fluid action and shot direction that breezily carries the film through its series record 148 minutes. Eon Productions Just a reminder that Lea Seydoux is very, very pretty. 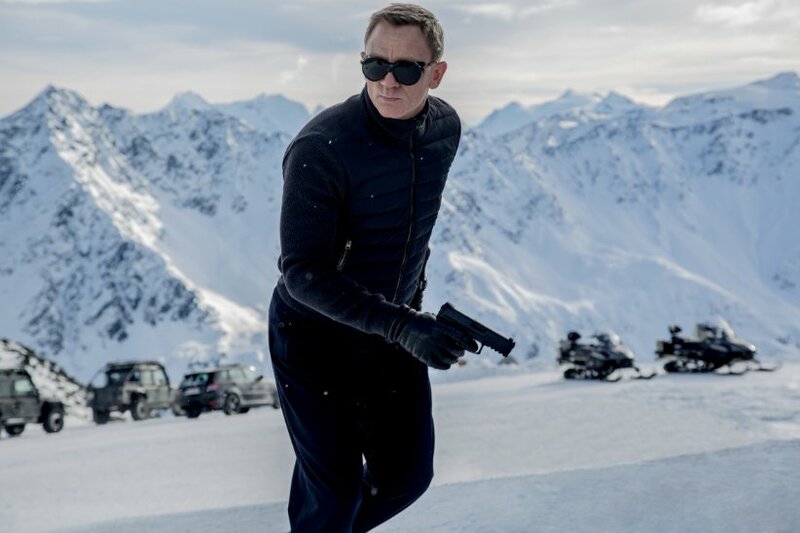 Spectre is one of the most agreeable action movies of 2015 and gives Bond fans a lot to love. It’s a smooth, fun, and safe ride that won’t let you down, but might not bowl you over either. **With the exception of Quantum of Solace, perhaps. ← Second Breakfast: ‘Suffragette’ Is Fine. Reblogged this on Roaming Thoughts. From one life long Bond fan to another, this is a wonderfully accurate post. A lot of the reviews I have read were being extremely picky and can’t seem to make their minds on what they want, classic Bond or new age Bond? I personally believe that this was Daniel Craigs last run as agent 007, but it was a perfect one to go out on. He has breathed new life into the 53 year old franchise and Spectre was a movie that tipped its cap to classic Bond movies and tied his story together. I think Mendes and team did a fantastic job.